. Published on January 16, 2019. Launching an online store is a big step for a small business. Whether your shop is going local or national, and whether it will be 100% e-commerce powered or needs an extra push to stay in-sync, getting a website is an absolute must-have that no business owner can turn their back on. In order to host your world wide web ribbon-cutting ceremony in the smoothest fashion, you need to find an e-commerce platform closely tailored to your needs; one that offers the right plan for your type of business, combines tech innovation with ease of use and cares about you as much as your future customers. 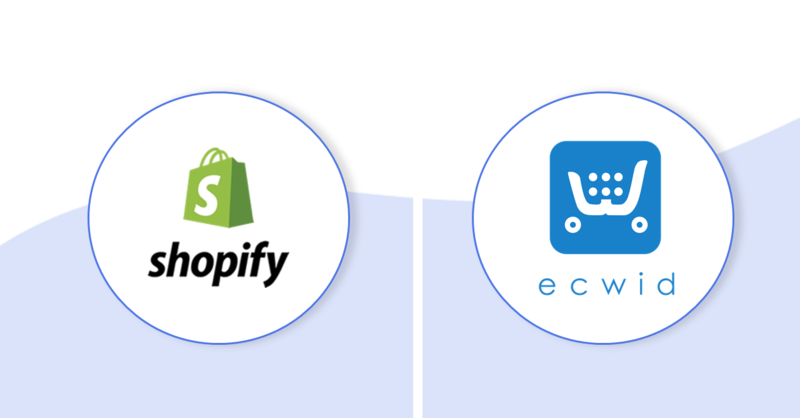 Today’s spotlight is on two extremely popular online store builders for small and medium-sized business: Shopify and Ecwid. We’ll compare and contrast the two for you and take the challenge out of making friends with e-commerce. While both Shopify and Ecwid are designed specifically for bringing e-commerce closer to every business, they use different approaches to building and developing your online store. Far from a trivial matter, you’ll discover that gaining insights on the matter before launching will make a fundamental difference for your business and time management. 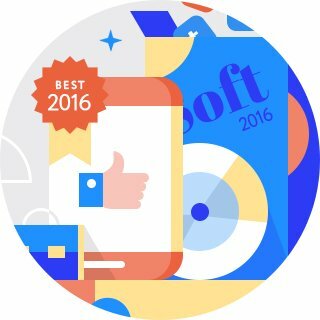 Here are the top insights about each platform. Shopify is a theme-based builder that allows you to set up a wholly independent online store. It works best if you’re starting an online business from scratch and your product site will be your main site. On the other hand, if your business site is already up and running, opening an online store on Shopify means you’ll have to manage two websites instead of one since the integration of Shopify stores with existing sites is not possible. With Ecwid, once you create your online store it’s yours wherever you want to take it across the world wide web. This means no wasted time setting up e-commerce even across multiple website(s) and social media. You get a perfectly customizable, full-featured online selling platform that takes just a few clicks to integrate with any existing site. Sometimes you don’t need a lot—just the essentials. For a small business that’s just starting to explore e-commerce or a business that wants to get more for less, Ecwid’s free Starter Site could be perfect. Available as soon as you sign up on Ecwid, the Starter Site is a fully customizable one-page online store. Check out these terrific professional sites created using Ecwid’s free Starter Site. As mentioned before, Ecwid offers two options for e-commerce: a Starter Site or an all-inclusive online store that you can add to any website or social network. Both are easy to set up and user-friendly. Customize your page, add your main business information, product images and descriptions, along with your contact info and social media links. Find the Ecwid plugin from the extensions panel of your site builder (Read a step-by-step instruction on accessing Ecwid plugins across various site builder platforms) or do it manually. Your online store will then appear on your business website. If you have more than one website, you’re free to add the store to as many sites as you want. Shopify: When it comes to design, Shopify offers 10 free themes and 59 paid ones for your online store. But this diversity comes with a catch: it isn’t exactly cost-friendly. While a “free” theme means you don’t have to pay anything for the design theme itself, you still have to buy a plan (see the Pricing section below) to access it. Paid themes mean a $140 to $180 additional investment. Ecwid: Based on your needs, the platform provides a customizable starter theme or custom design options for your online store on Ecwid. The free Starter Site is a fully-customizable theme that comes with a modern visual landing and product page combined. As for full-featured online stores created on the platform, Ecwid offers dozens of design options to make your product site special. Shopify: The platform gives over 100 payment gateways for you (and your clients) to choose from and works well with practically any currency. The only problem for global commerce is that Shopify currently supports only 7 languages in addition to English. Ecwid: Ecwid equally balances its payment options (50+) and supported languages (50+) for convenient global e-commerce. 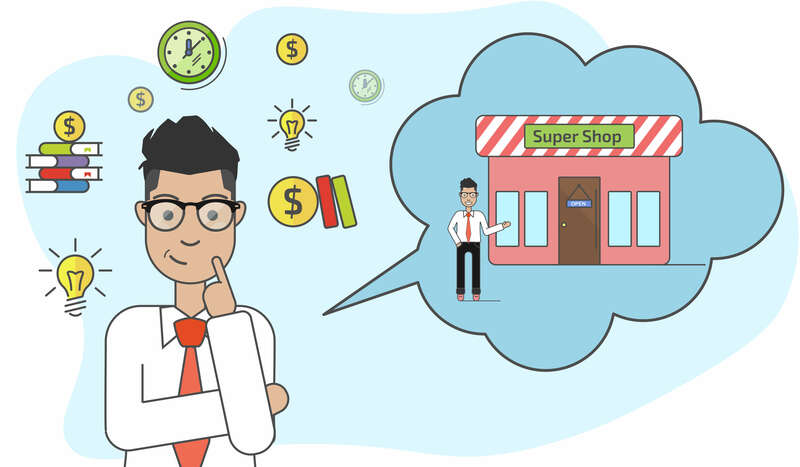 It’s the optimal balance between cost-effectiveness for business owners and exceptional customer experience. Common features include: automated abandoned cart recovery, discount coupons, POS integration, sales channel support, and others. Note that these features vary across different plans with each platform. Shopify offers many mobile-responsive website templates in its online store, while others will need to be manually optimized. Two other things you get with Shopify are a mobile commerce platform—a built-in shopping cart that helps customers make purchases safely on mobile devices—and the opportunity to manage your online store via any mobile device. Ecwid has given a lot of thought to enhancing the mobile user experience beyond regular mobile optimization. A super cool feature anyone can get on the platform is Ecwid’s ShopApp, a native smartphone app for online stores that your customers will be able to download for iOS or Android. It means your store will not simply be mobile adapted, it will be an ever-present, elegant icon on your clients’ smartphones. Did we mention that the feature is very easy to set up and doesn’t require any coding on your behalf? Both Shopify and Ecwid have many advanced features such as: sales reports used to gather advanced analytics on your store and show in-depth customer statistics, a SSL certificate (secure HTTPS protocol), and calculated carrier shipping. The difference is that Shopify provides these advanced tools by default on several (albeit pricey) plans while Ecwid offers them as add-ons to any plan (SSL is provided by default for all of Ecwid’s online stores). The platform provides a good collection of free or paid advanced analytics apps you may add or delete manually, plus countless other extensions. Plans: The platform offers 3 plans – Basic Shopify ($29/month), Shopify ($79/month) and Advanced Shopify ($299/month). Annual plans will net you extra savings. Hidden fees: Shopify charges its own turnover fee (2%, 1%, 0.5% on the Basic Shopify, Shopify, and Advanced Shopify plans, respectively). If you want to eliminate this, you will have to set up Shopify Payments (only available in the USA, UK and Canada). Also, as with any online sales platform, payment gateway fees by third-party providers (such as PayPal) are applicable. Plans: Ecwid has a free plan for small online stores featuring up to 10 products and 3 additional plans for larger-sized e-commerce: Ecwid Venture ($15/month), Ecwid Business ($35/month) and Ecwid Unlimited ($99/month). Ecwid’s annual plans will give you an extra 16% savings. Hidden fees: Ecwid doesn’t charge its own transaction fees if you use a third-party payment provider in your online store. Why does an online store need a business phone number? To start selling online, you need two things: 1) for customers to find your products and 2) for them to get exceptional and fast support/service anytime, anywhere. As for the latter, it’s going to be challenging for you to keep a clear head without a proper business phone system. Compared to the limitations of a standard landline, using a mobile service provider for business purposes, or hoping a website is enough for your business, a virtual business phone number is a cheap full-package solution. Clearly, neither landlines nor mobile service providers come close to offering such versatility. The great news is that for a limited time, you can jump-start your online business and win bigtime. Register on MightyCall’s virtual business phone system and get an eye-popping discount – 50% off 3 months. With the power of Ecwid/Shopify & MightyCall combined, your products will fly off the (metaphorical) shelves and your business will be well on its way to success.